The 11.6" ProBook x360 11 G3 EE Multi-Touch 2-in-1 Laptop from HP delivers productivity and entertainment in one compact system. This laptop is powered by a 1.1 GHz Intel Pentium Silver N5000 quad-core processor, which allows you to run multiple applications simultaneously. The 8GB of DDR4 SDRAM helps to ensure smooth multitasking and allows the computer to quickly access frequently used files and programs. For storage of your files, the ProBook x360 11 G3 EE is equipped with 128GB M.2 solid-state drive. If you want to add external storage, optical drives, memory card readers, and more, there are two USB 3.1 Gen 1 Type-A ports and one USB Type-C port. There's also a 3-in-1 SD card reader slot. 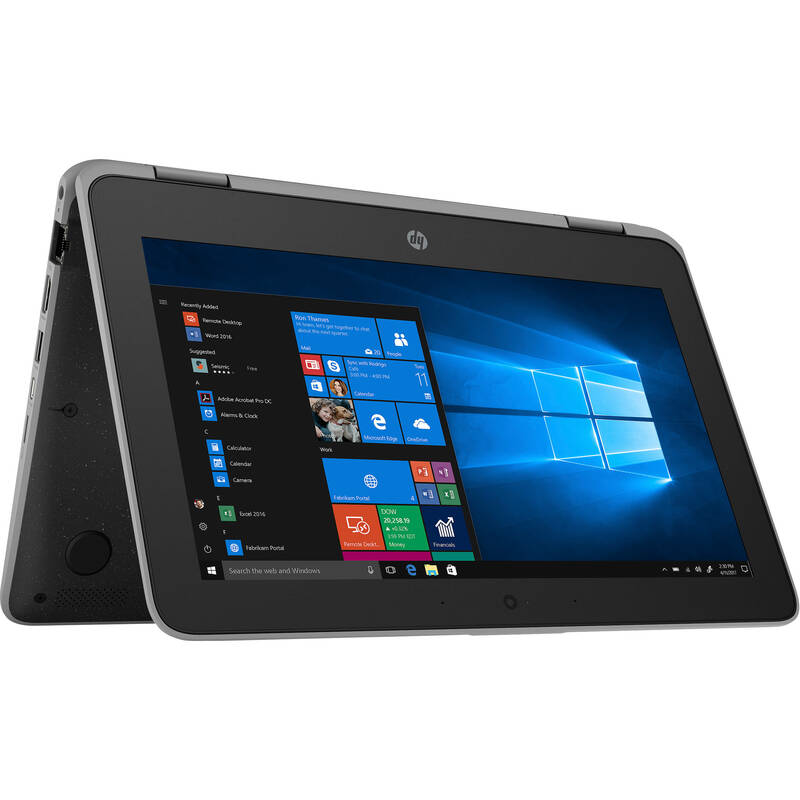 The 11.6" LCD anti-glare display features an HD 1366 x 768 native resolution that's powered by an integrated Intel UHD Graphics 605 chipset for a sharp, clear picture. You can output video to an external display using the system's HDMI 2.0a output. In terms of connectivity, Wi-Fi 5 (802.11ac), Gigabit Ethernet, and Bluetooth 4.2 are built in, so you can access wireless networks and compatible wireless peripherals. The ProBook x360 11 G3 EE features a 2-in-1 design with a 360° hinge that allows you to flip the laptop into different modes. Moreover, the installed operating system is Windows 10 Home (64-bit).